It's already time for our final event of 2016. 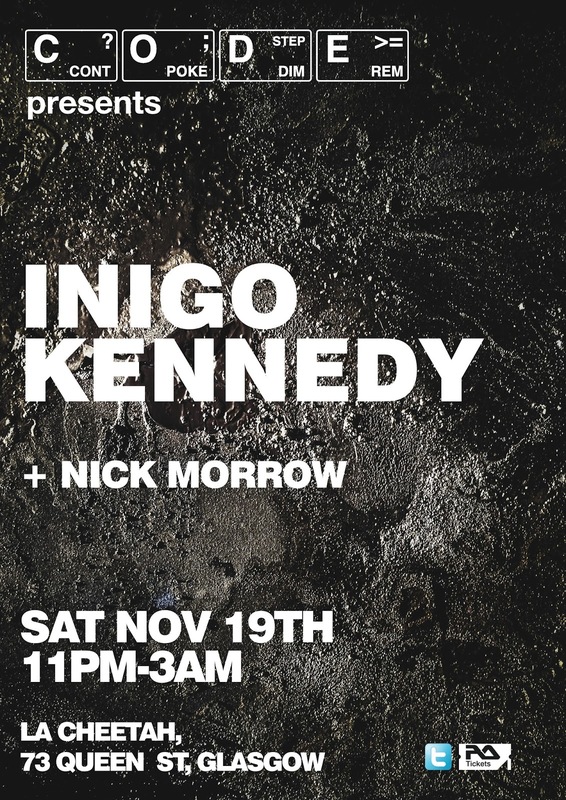 What better way to round off the year than by welcoming a true legend of modern techno, Inigo Kennedy? It would be fair to say, Inigo Kennedy has been instrumental in shaping and evolving techno over his long and illustrious career. With almost 100 releases in the can, he has been both prolific and innovative in equal measure but never at the expense of quality. As always, tickets are available on Resident Advisor. Please click here for more information. There are a limited number of reduced price tickets for sale at only £6. These always sell out, so strike while the iron's hot. 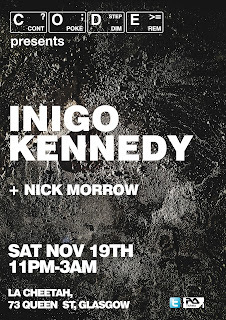 Inigo Kennedy has played in all corners of the globe but doesn't come to Glasgow very often, so make sure you're at La Cheetah on November 19th.